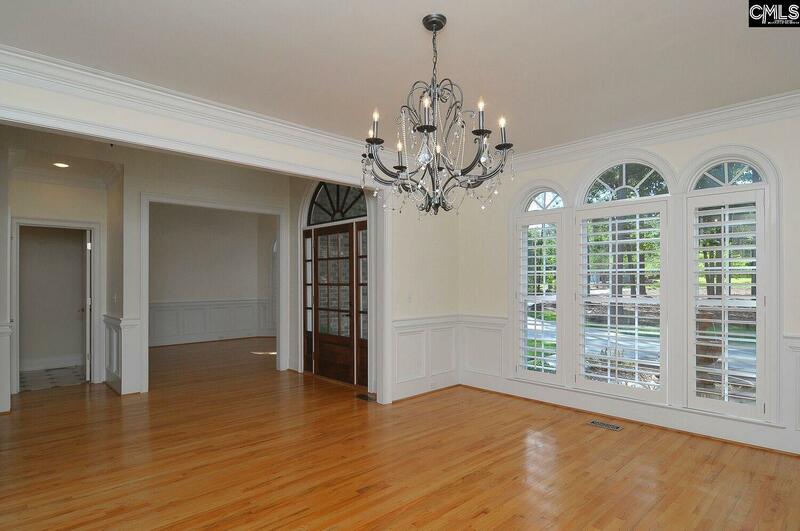 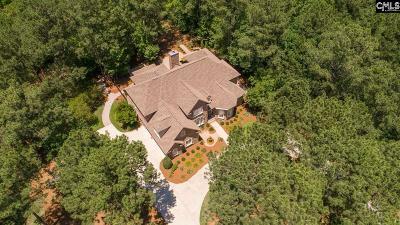 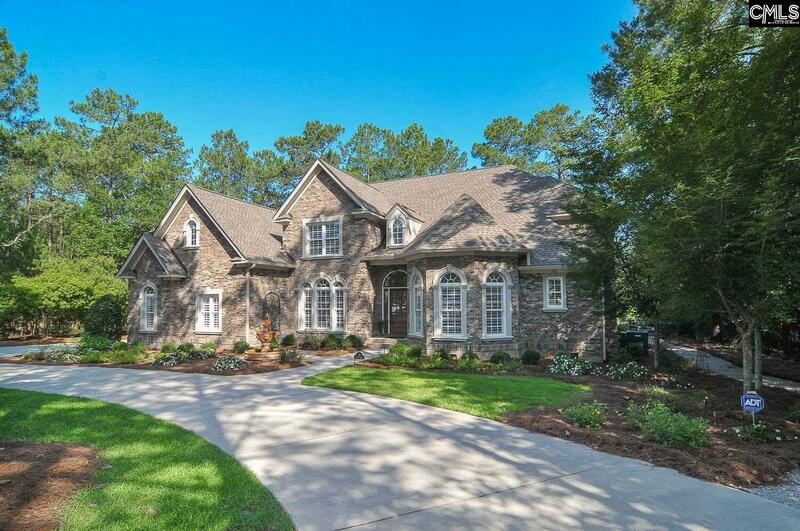 This beautiful, all-brick waterfront home is in outstanding condition! 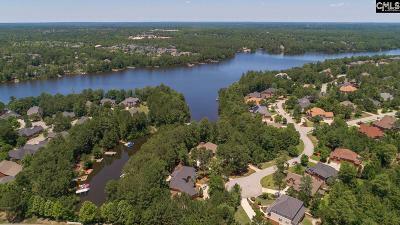 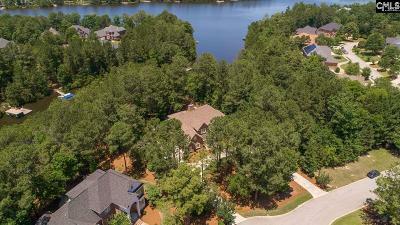 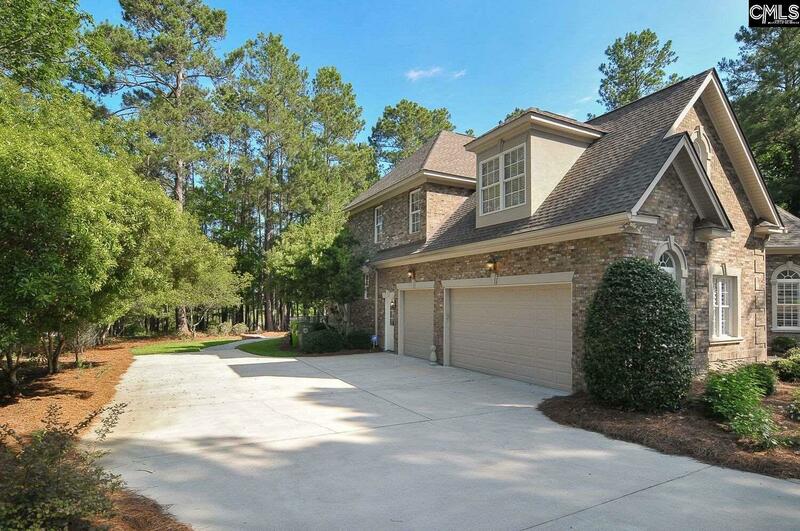 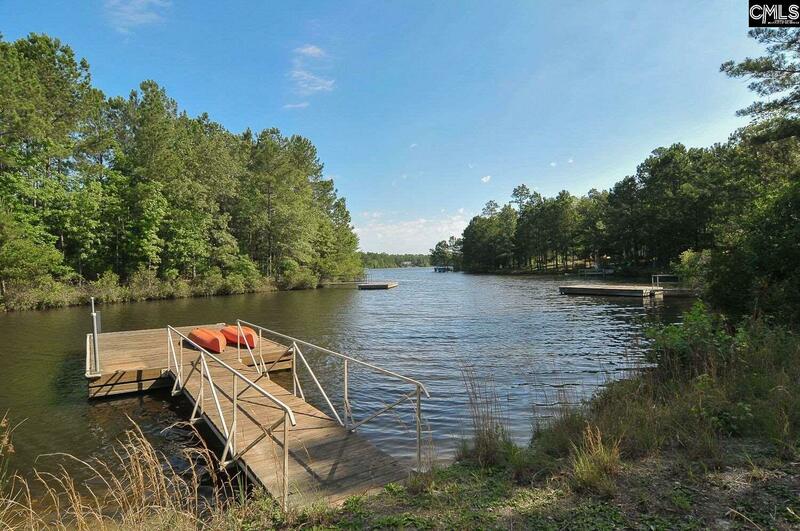 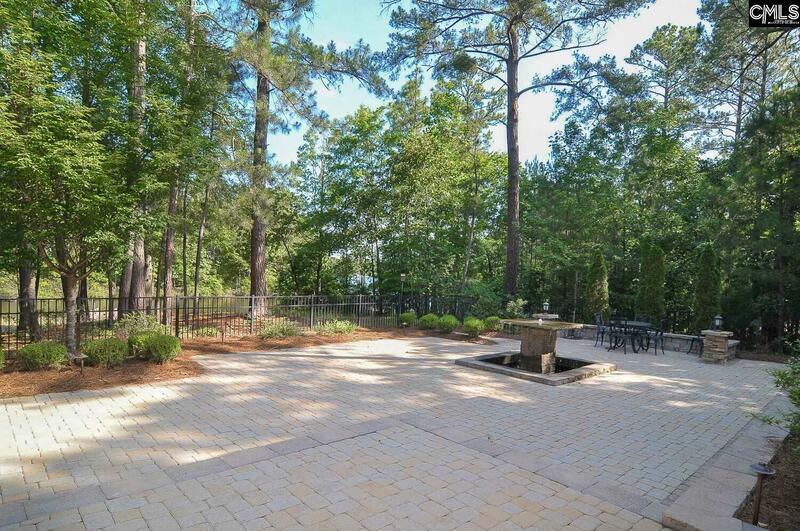 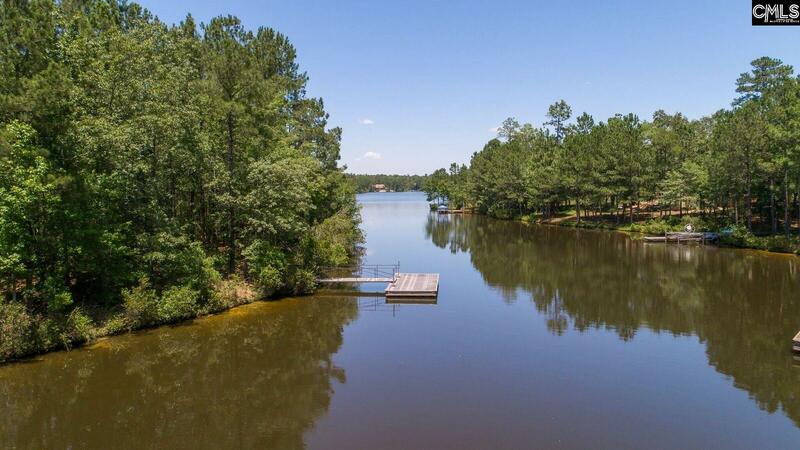 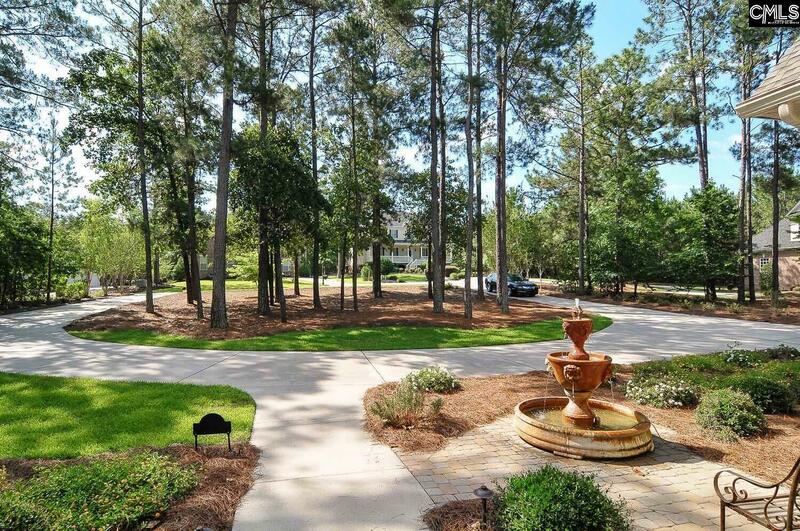 Located on a nearly one acre cul-de-sac lot and with more than 180' of Lake Carolina shoreline, this property is really special. 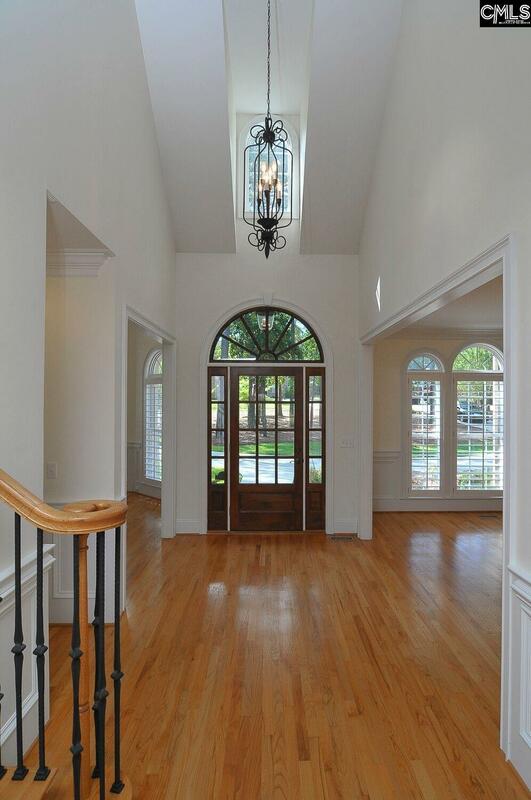 The interior is light, bright, and open. 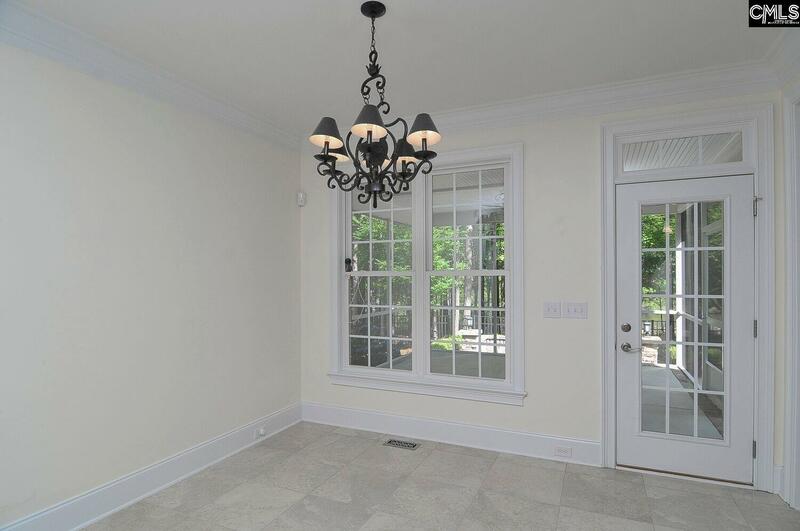 The first floor features a dining room, living room with bay window, and a great room with a stone fireplace and cathedral ceiling that opens to a beautiful kitchen. 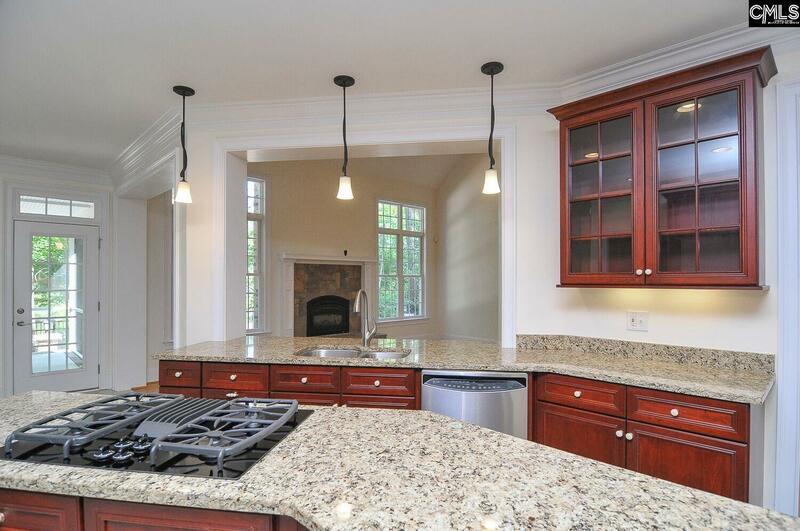 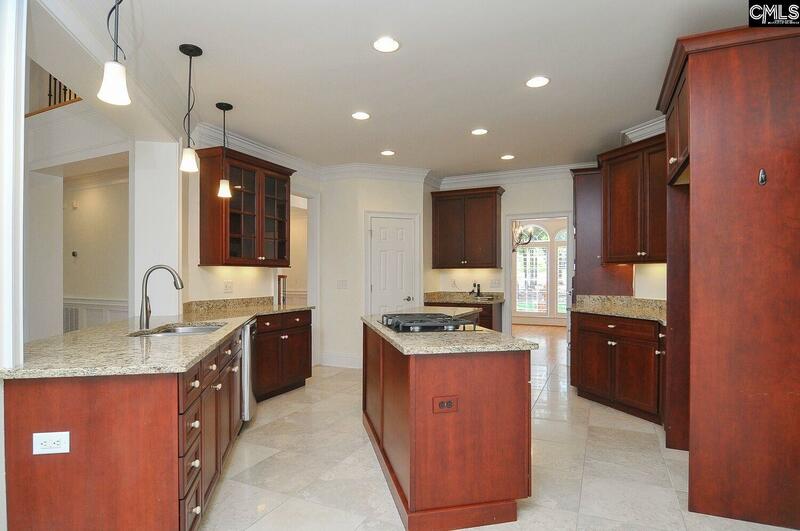 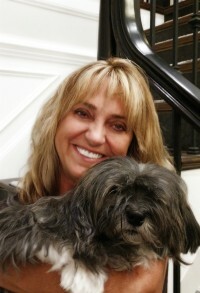 The kitchen has a travertine tile floor, beautiful cabinets, granite counters, an island, and a big breakfast area. 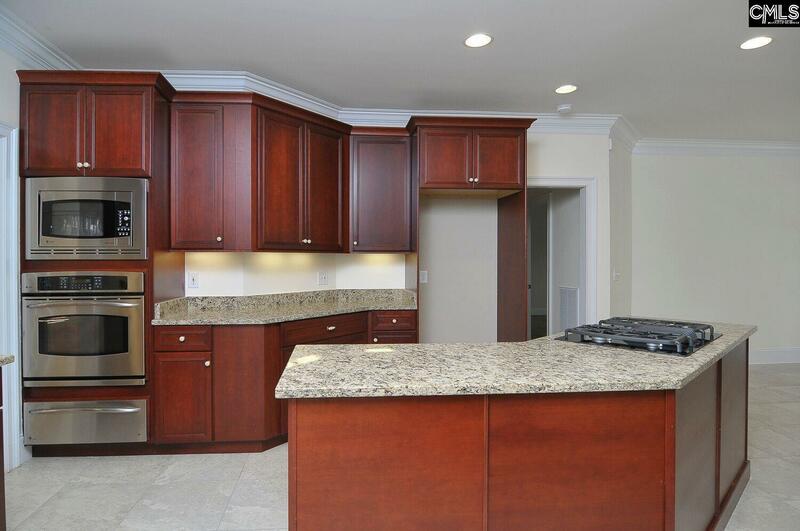 There is a gas cooktop, convection microwave, warming drawer, and more. 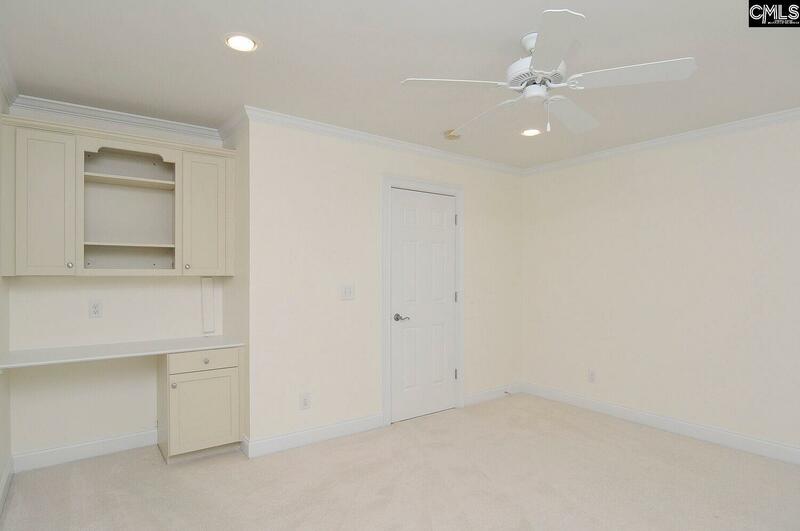 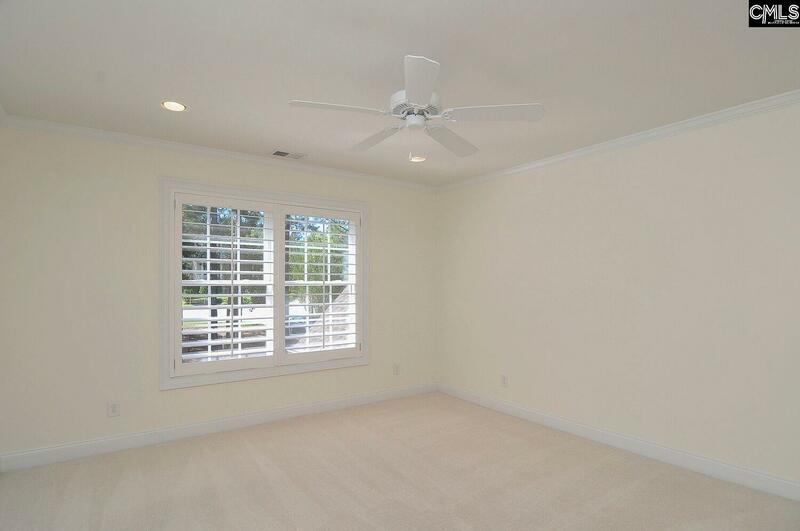 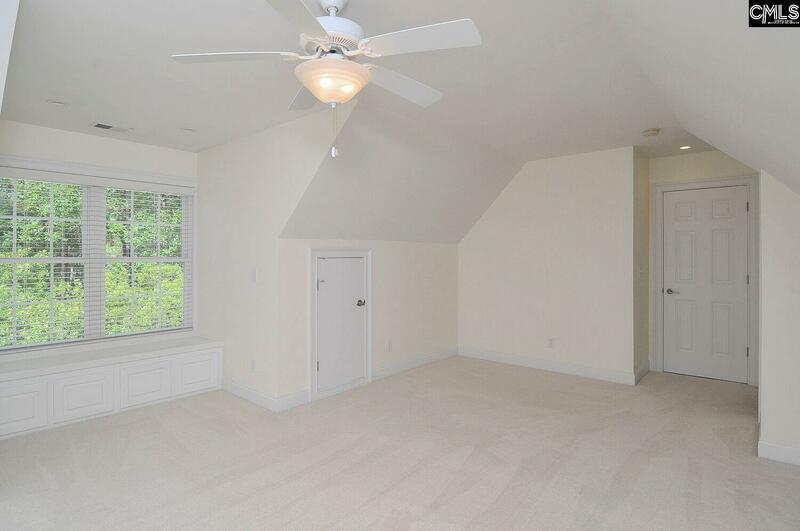 The first floor master suite is fantastic. 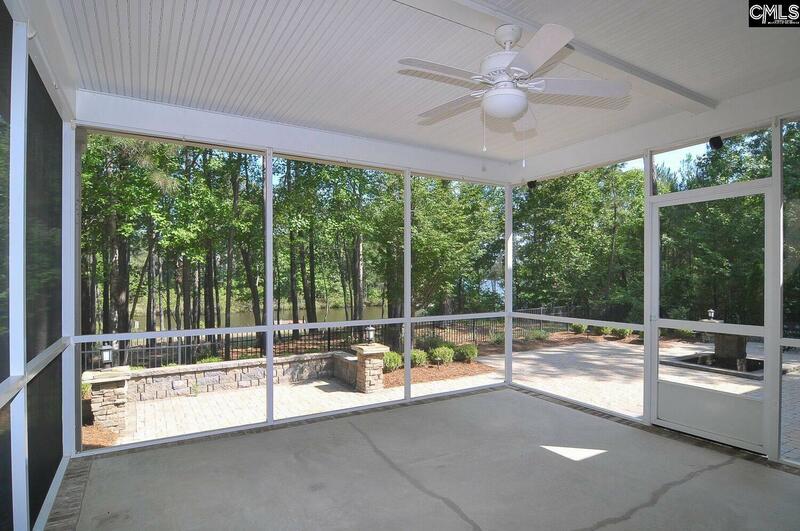 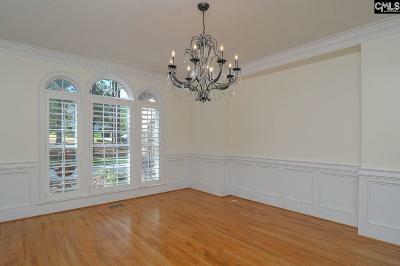 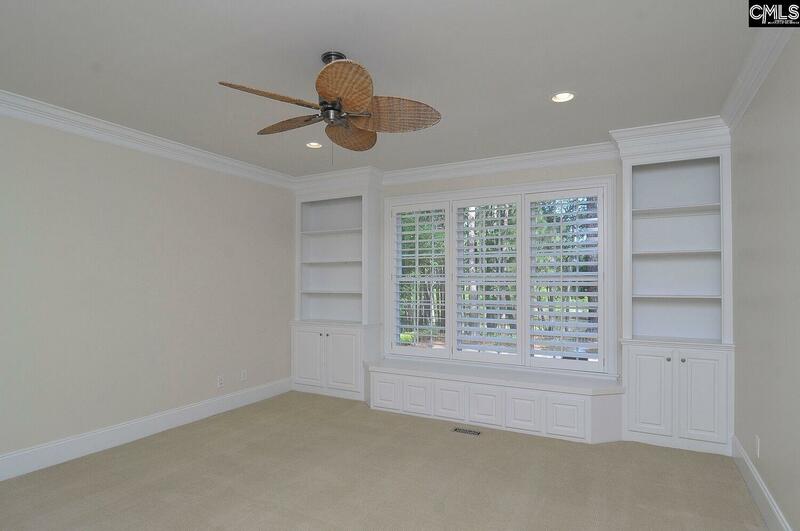 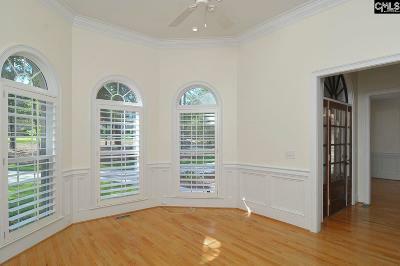 It features bookcases and a picture window overlooking the back yard patio and down to the waterfront. 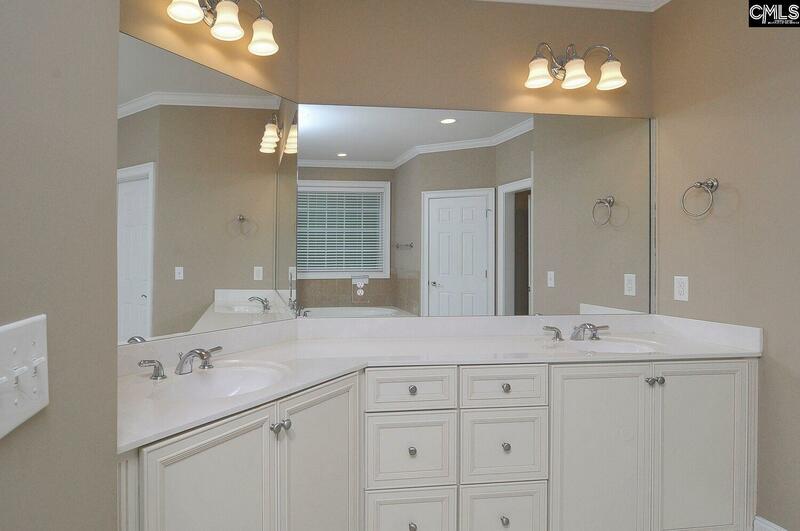 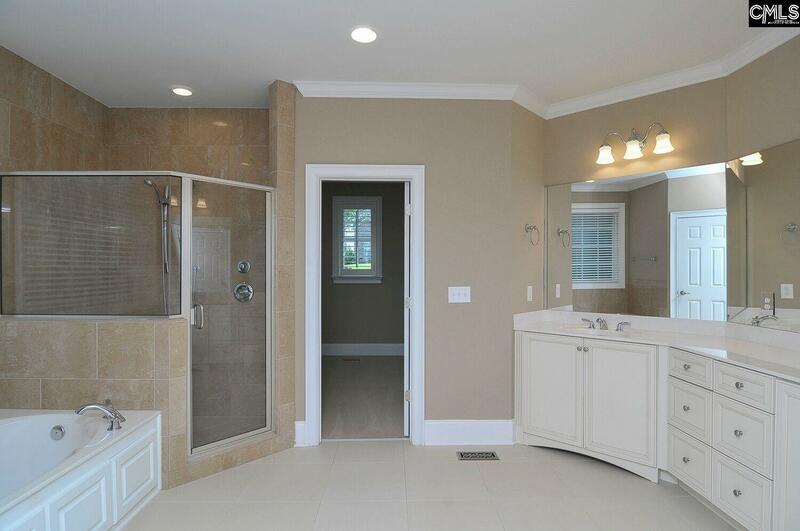 The master bath has double vanities and extra counter space, a whirlpool tub, separate shower, and his-and-her walk-in closets. 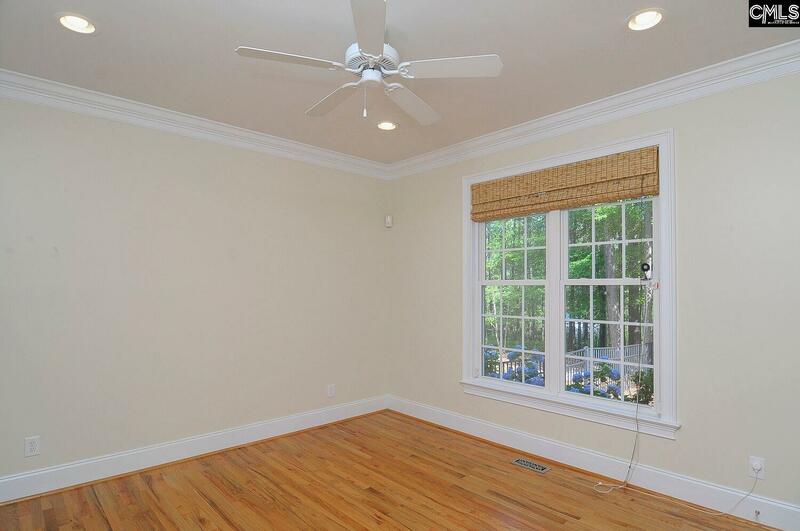 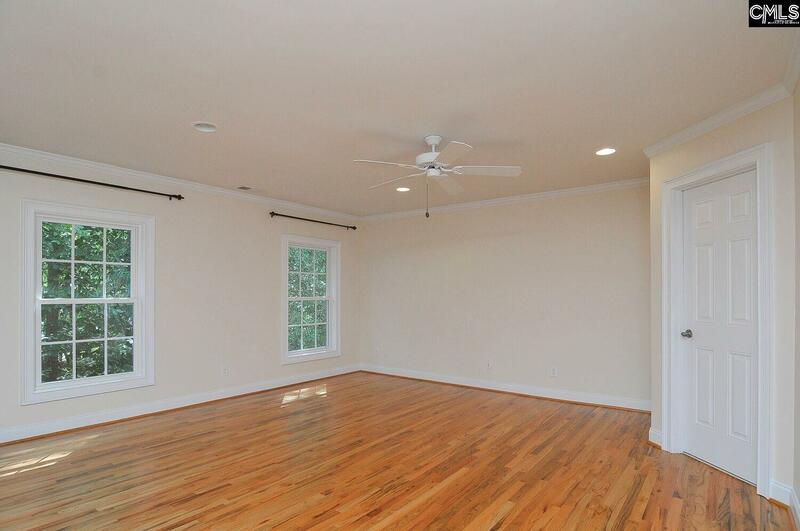 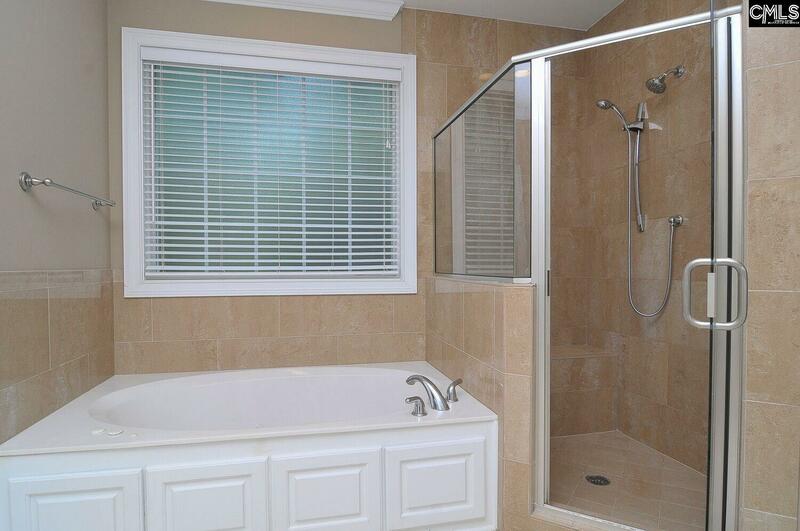 The first floor also has a second bedroom with a private bath, a laundry room, and a screen porch. 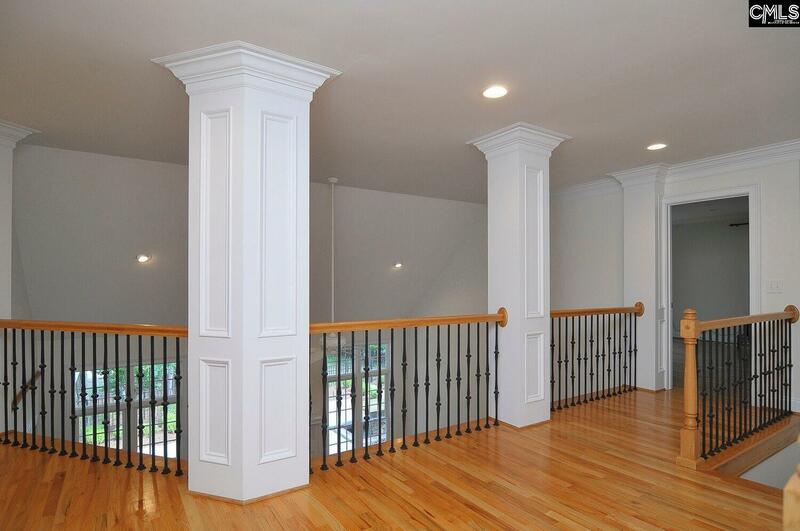 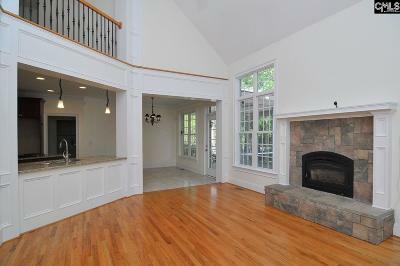 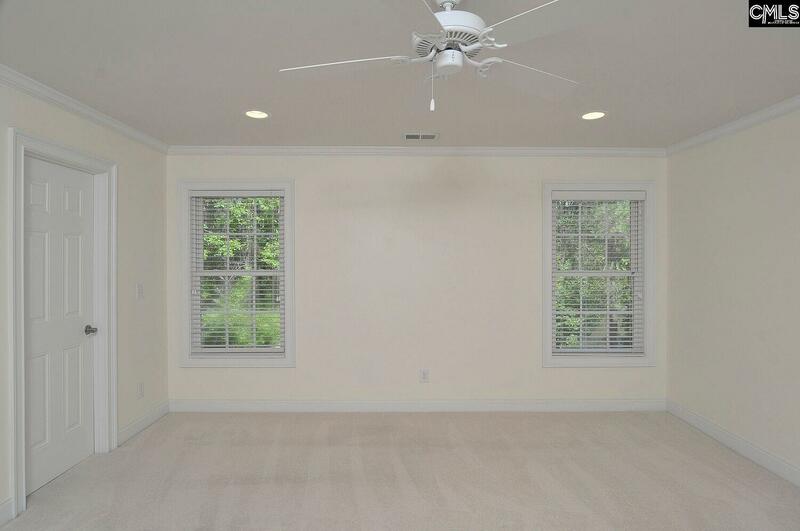 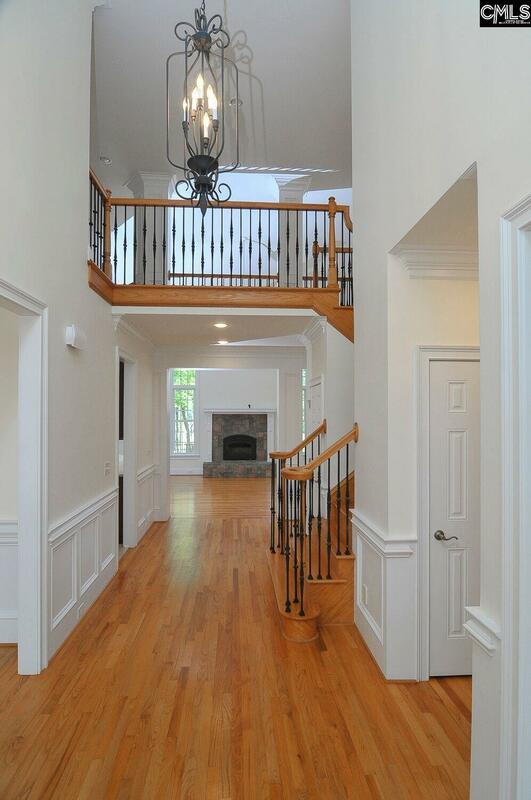 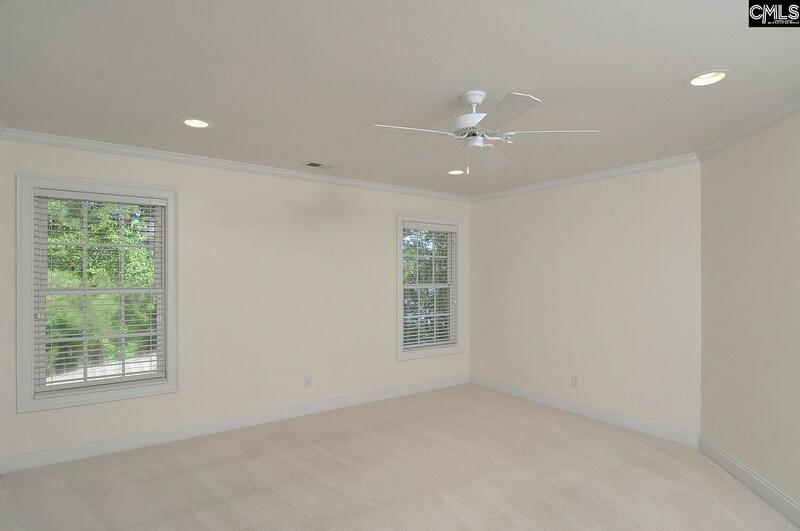 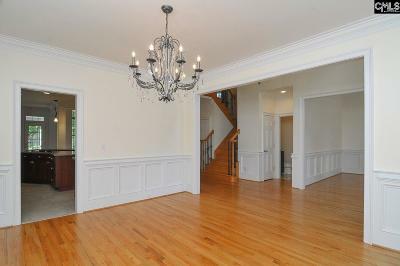 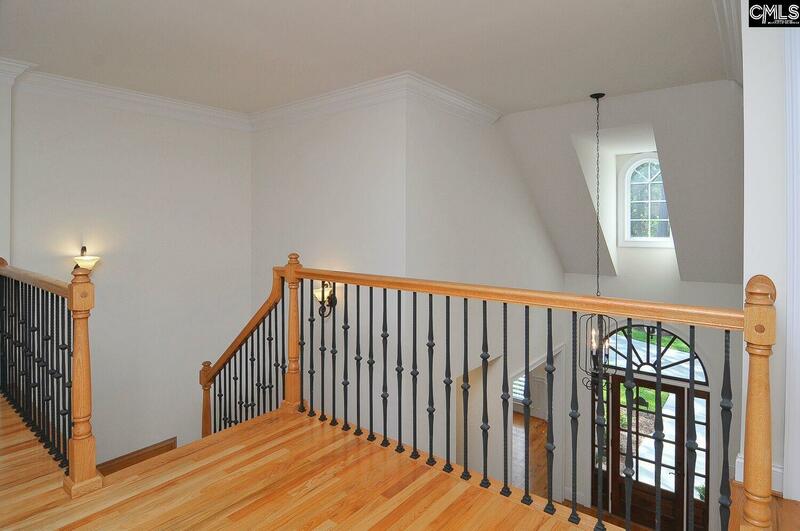 The second floor has bedrooms and living space galore! 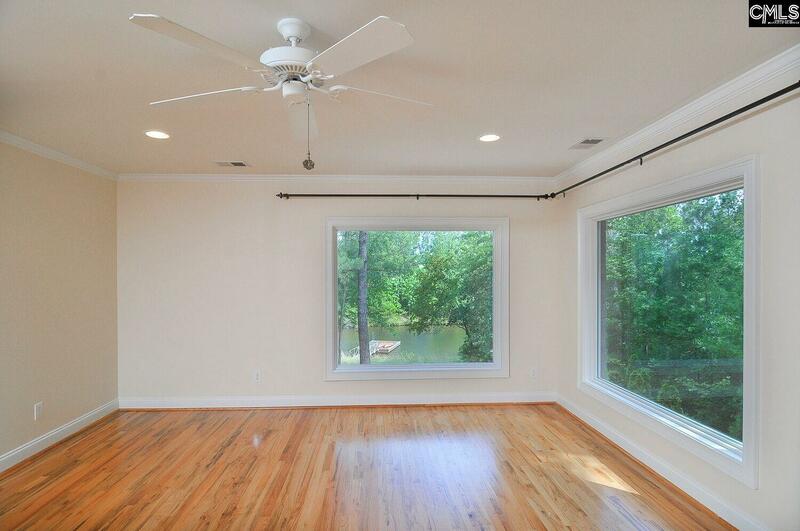 There are 3 bedrooms and 3 baths, a finished room over the garage, AND a big rec room/ office/ studio with hardwood floors and a picture window overlooking the lake. 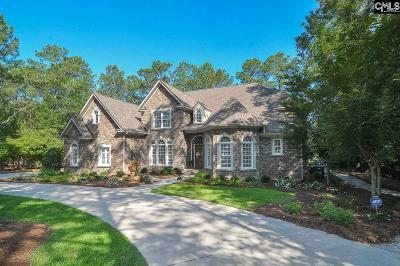 Exterior features of the property include an architectural shingle roof (installed in 2015), vinyl trim, irrigation system, screen porch overlooking a most lovely and big, fenced patio with a beautiful fountain, a 3-car garage, circular drive, and additional parking spaces on the garage side of the house.